City is to join the University of London later this year and will become one of the federation’s self-governing Colleges. In this commemorative article, City Magazine assesses what this development means for City, 50 years on from receiving its Royal Charter and 122 years since the institution’s foundation. The welcome news that City is to join the University of London (UoL) is a key milestone in City’s long history and stands as recognition of the great strides that it has made as an institution over the last decade. Joining the University of London marks a significant new chapter in City’s history. It is a major opportunity but also a signal of how far we have come as an institution. We will retain our historic strengths, professional credibility and deep-rooted City of London heritage while we strengthen our international profile and expand our research and education capabilities. City’s history dates back to the 1894 foundation of the Northampton Institute and City was granted University status by Royal Charter in 1966. City intends to join the University of London in September 2016 and its official name will change, albeit subtly, through the addition of a comma and the word ‘of’, to become ‘City, University of London’. The titles of its senior officers will also change, reflecting that City will have become an autonomous College within the UoL. Joining the UoL does not constitute a merger. City will continue to set its entrance criteria and examinations, award its own degrees and offer independent services to students. It will remain a chartered institution, autonomous and self-governing, with its own Council, Senate, Students’ Union and other bodies as at present. City is joining the UoL for several reasons, not least to signal its academic standing and to benefit from the prestigious UoL brand. Benefits to City’s staff and students will include access to the UoL’s substantial library resources, membership of ‘Student Central’ (the former University of London Union, providing access to services including sports, societies, online tickets and bars) and an allocation of rooms in UoL’s Intercollegiate Halls of Residence. What this means for current and prospective students, is that [students] will be part of a vibrant, world class academic community which not only generates new knowledge but uses it to impact positively on society in many different ways, worldwide. The University of London is one of the oldest, largest and most diverse universities in the world. Comprised of 18 constituent colleges, 10 research institutes and several central bodies and founded under the name London University in 1826 as a secular alternative to the religious universities of Oxford and Cambridge, the UoL can lay claim to several impressive firsts over its long history. In 1878 it became the first university to admit women, with the proportion of female students swelling to 10 per cent by 1895 before growing rapidly over the final five years of the 19th century to 30 per cent by 1900. It was also the first Commonwealth university to appoint a female Vice-Chancellor, Professor (later Dame) Lillian Penson, in 1948. The UoL introduced many new subjects into higher education in the UK, such as modern languages and laboratory science. Today it is a family of world class institutions, collectively upholding its international reputation of academic distinction in learning and research. 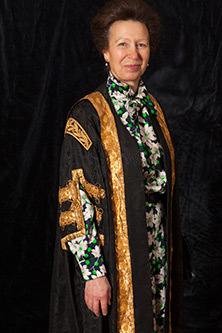 And while City enjoys a unique arrangement with the City of London, whereby a new Lord Mayor is installed as Chancellor each year, the UoL’s Chancellor since 1981 is Princess Anne, Her Royal Highness The Princess Royal. She took over the position following the retirement of her grandmother, Queen Elizabeth The Queen Mother, who had held the position since 1955. The UoL’s landmark building is undoubtedly the impressive and imposing Senate House. During the first hundred years of its existence the UoL moved between a succession of temporary homes, quickly outgrowing each of them in turn. In the 1930s the decision was taken to build what had become the world’s largest university a purpose-built, permanent home. A large plot of land behind the British Museum in Bloomsbury was purchased from the Duke of Bedford’s estate and Charles Holden, the architect behind some of the most iconic London Underground stations, was commissioned to design it. 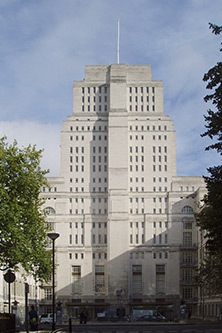 Upon opening in 1936, Senate House was the second-largest building in London. With 19 floors and standing 64m high, it was taken over by the Ministry of Information during World War Two; its roof offering a valuable observation point for the Royal Observer Corps. Though the building was hit by bombs several times, it emerged largely unscathed from the conflict. There was speculation at the time that the reason the building had fared so well was that Adolf Hitler had planned to use it as his headquarters in London. When the Colleges began to return in 1944, the Principal of the UoL reported that examinations were carried out “without casualties, other than those normally caused by these exacting but essential tests”. The building was later assigned Grade II-listed status in 1969 and has been used as a film set for several movies including Batman Begins, Spy Game and the big-screen adaptation of George Orwell’s novel, Nineteen Eighty-Four. Indeed, the building’s repurposed function during the war effort was said to have been the inspiration for Orwell’s description of the Ministry of Truth in the book. In the early 1960s the government-commissioned Robbins Report recommended that the Northampton College of Advanced Technology become a university. The City University was created by Royal Charter and Dr (later Sir) James Tait was appointed as its first Vice-Chancellor, with Oliver Thompson as Pro-Chancellor. 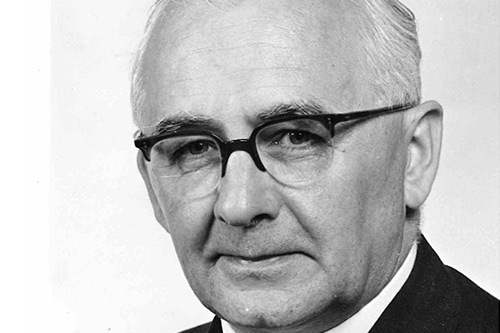 Together they approached the Lord Mayor of London, Sir Lionel Denny, whose enthusiasm for an association between the City and the University led to an arrangement that continues today, whereby the Lord Mayor in office is invited to be the Chancellor of the University. The Lord Mayor noted to the Home Service later the same day that it was “a fine portent that one of the University’s first honorary graduates should be a former student playing a leading part in the plans for a voyage to the Moon”. 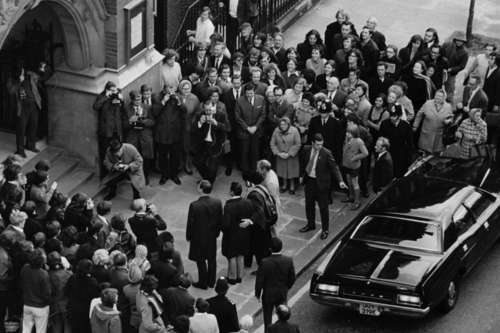 The Apollo 15 astronauts would later pay City a visit in 1971 and presented Vice-Chancellor Tait with a piece of heat shield from the command module. Read more on 50 years of City. Read 50 interesting facts about City.